Once Wally West was Kid Flash, sidekick to his mentor and friend The Flash, a.k.a. Barry Allen. 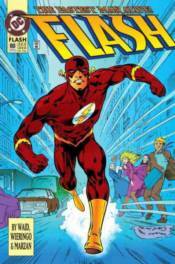 But the death of Barry made Wally the fastest man alive - and the new Flash! Now, somehow, Barry has returned - as a violent and paranoid speedster determined to eliminate what he's created! Is Barry really back? This second collection of stories from Mark Waid's epic run on THE FLASH includes THE FLASH #69-79, THE FLASH ANNUAL #6, GREEN LANTERN #30-31 and #40, plus a story from JUSTICE LEAGUE QUARTERLY #10.